This is yet another book that made me say, “How did I not know about this series?” Hot, tattooed Irish guy with a big dog, a sword, and a lot of Celtic magic at his fingertips – what’s not to love? 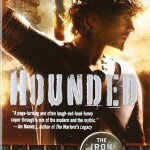 Hounded was fun from beginning to end, and adds yet another series to my endless TBR pile. 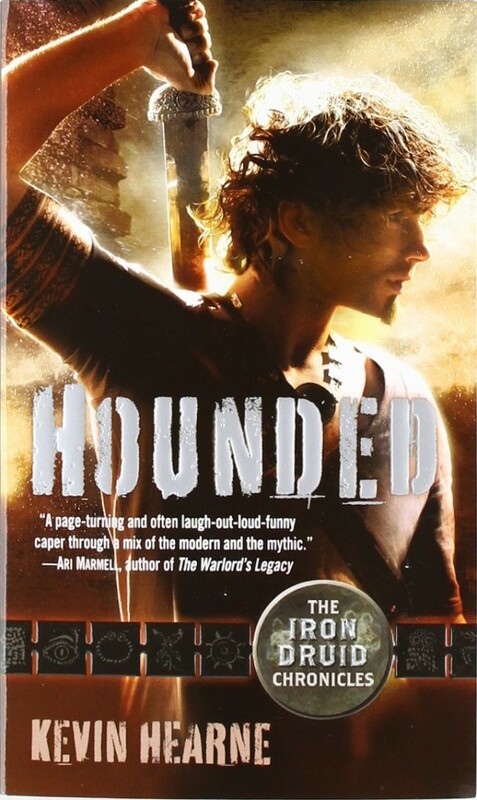 Hounded is the story of Atticus O’Sullivan, a 2100 year-old Druid, the last of his kind, living in Tempe, Arizona. The name made me laugh, but honestly, if I had a name like Siodhachan O’Suileabhain, I would update it a little, too. 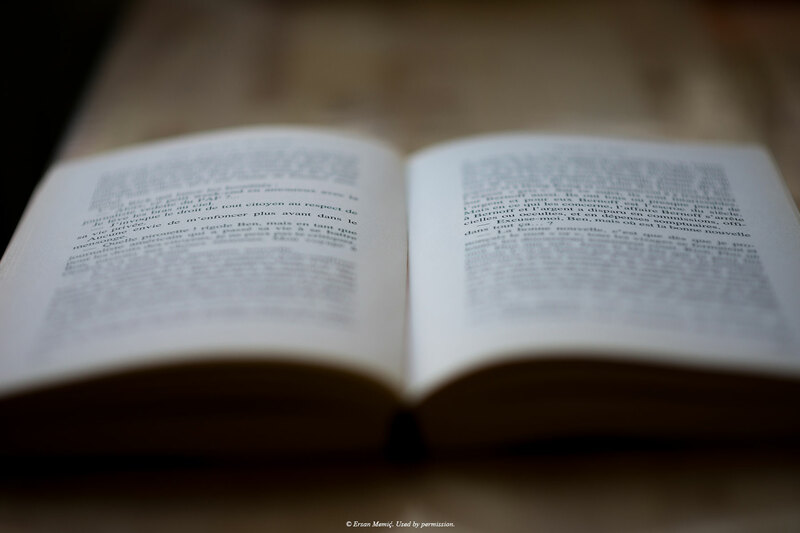 I love the sort of urban fantasy that puts a little bit of magic in a modern setting, and that certainly describes Atticus. He has a dog – an Irish Wolfhoud (of course) named Oberon – with a thing for poodles. He has magical tattoos. He owns an occult bookshop. He has a lovely old neighbor named Mrs. MacDonagh, who sips a bit of Tullamore Dew on her porch and is perfectly willing to help Atticus hide a body or two. We all need a neighbor like the widow MacDonagh. Atticus has in his possession a stolen sword and Aenghus Og, the Celtic god of love, very much wants it back. There are some surprise attacks, visits from the Morrigan and Flidais, a pack of werewolves and Atticus’ lawyer (who happens to be a vampire). There’s a lot of Irish myth and legend and a great, romping adventure that I thoroughly enjoyed. This is the sort of book I will whiz through sitting on a plane, or at the gate, waiting for my flight. That’s where I figure I will be reading the rest of the series, in fact. It’s not my usual fare, but variety is good for a reader, now and again.